This is a supplement to the other articles I have written about Total Eclipse and it’s intended to make some things clear about the series as a whole, and my reaction to it. NOTE: Episode 6′s blog is HERE, read it first! To begin with, an apology for the lack of an article on episode 7, but I was on holiday when it aired, and when I caught up with it it was such a dreadfully dull and formulaic continuation of episode 6 I could find nothing interesting to say about it. So I didn’t write an article about it. NOTE: Episode 5′s blog is HERE, read it first! With the petty rivalries that defined the second plot arc apparently resolved, as Yui and Yuuya finally get a chance to fight their differences out, the action jumps forward chronologically. The test pilots are now in the West Indies for a new exercise, this time in extreme-conditions combat – although there is a secondary purpose. In order to raise morale, the pilots will take part in a promotional photoshoot – setting up a neat comedic hook for the episode. 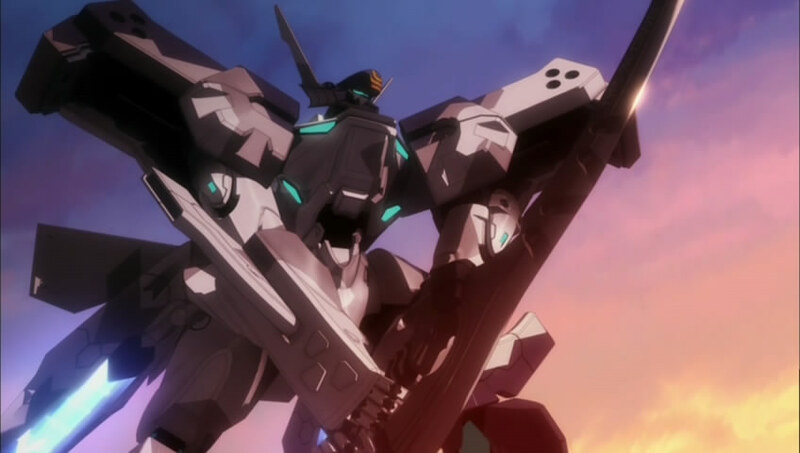 Mixing comedy with serious military stories is a common cliché of the mecha subgenre, and in a series as sexed-up as Total Eclipse it seems a beach photo-opportunity is an inevitable result. NOTE: Episode 4′s blog is HERE, read it first! After the nationalism-driven rivalries come to a head in the previous episode, episode 5 of Total Eclipse continues to focus closely on the conflict between Yuuya and Yui. The episode once again begins with a training flight, and once again this ends with Yuuya complaining about the inferiority of Japanese TSFs. NOTE: Episode 3′s blog is HERE, read it first! From the drama and tension of last week’s petty rivalries, episode 4 of Total Eclipse launches the viewer straight back into a frantic flight across the testing ground – although this time the enemy is the TSF itself. Yuuya, all arrogance and skill in the previous battle, is now swearing at a new TSF that is simply too high-performance for him to control well. 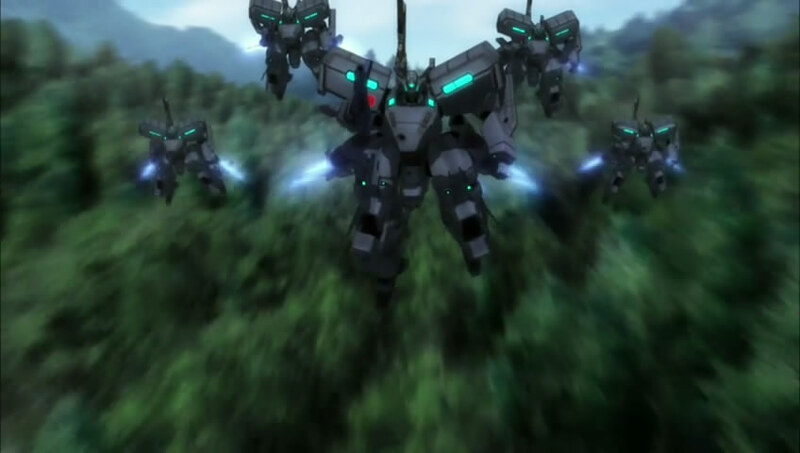 It transpires, as he ends the test flight early, that he has been assigned the unit (a pilot training TSF based around the latest Japanese-built units) by Yui as a placeholder while the latest experiment, the Type 97, is being put together. For an ace to be given advanced pilot training is shown to be a humiliation and Yuuya’s response is shown thus to be equal parts resentment at Yui and at his own failure to master his new TSF. The scene in which Yuuya is given these orders shows in a short sequence how Yui is adapting to command; she is capable of obeying and enforcing the rules of the XFJ project, but has yet to get the respect of her subordinates. Note: Further to information in the comments from someone more familiar with the source material, a couple of slight changes were made; the series was not entirely clear about some things – a difficulty in adapting something. NOTE: Episode 2’s blog is HERE, read it first! After the shocking scenes of slaughter that defined episode 2, to have episode 3 begin with a return to the “safe” simulated combat of the series’ opening is a much-needed release of tension. 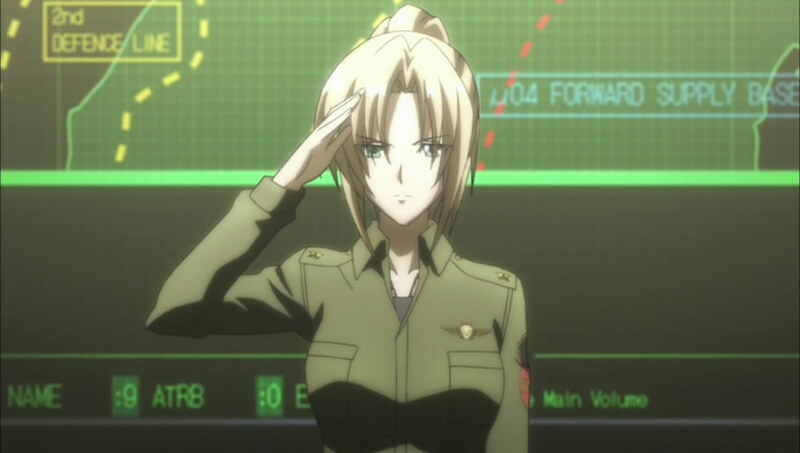 The viewer is introduced in quick succession to an entire new squadron of pilots, with their own conflicts and rivalries, and given a fresh sense of place – the action has moved from wartorn Japan to peaceful Canada, a staging ground and apparently an advanced training centre for TSF squadrons. The viewer is introduced to a new pilot in training, engaged in a tense high-speed battle with an anonymous ace pilot which almost destroys a transport bringing fresh personnel to the base. The exposition remains limited, and this time the viewer is more attuned to the setting’s context and questions whether these pilots, with their arrogance and flashy maneuvers, will fare any better than Yui’s former wingmen. NOTE: There were some name confusions on my part in the original article which have since been corrected. Apologies for any confusion. NOTE: Episode 1’s blog is HERE, read it first. 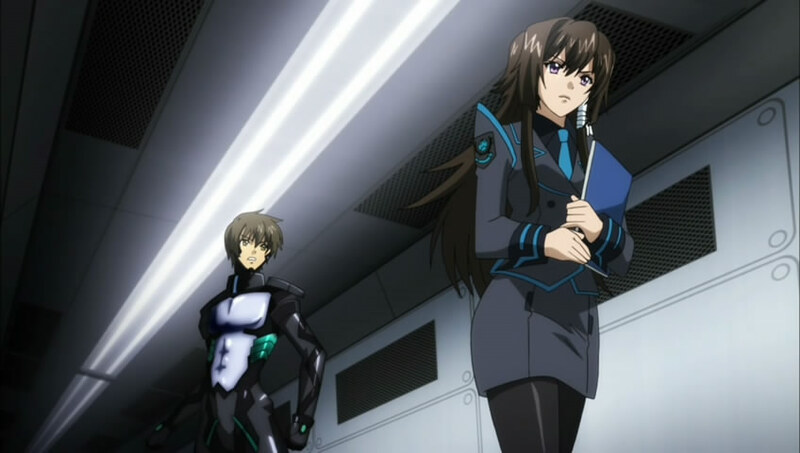 Episode one of Total Eclipse ended with its inexperienced protagonists headed into combat with the still-mysterious BETA threat, and it is the beginning of this episode which provides the “release” to the tension that it built up; the viewer, at the same time as the characters, is shown the true nature of the enemy. This may or may not become a full series blog in the vein of my Eureka Seven articles and before we begin, a few notes. Firstly, there is no way I am typing this series’ title out in full every time. It will be called MLATE or possibly just Total Eclipse. Secondly, I know nothing about the source material that it’s based on. This is entirely blind, judging the series as a series in its own right. Note: following a point raised in the comments, I have edited this article to address a slight inaccuracy and clarify my meaning.